As a senior, it is difficult to complete daily tasks and live on your own. Seniors are the target of burglaries and very harmful mishaps. Below are some tips to keep seniors who want to live independently, safe if in their own homes. Install Security Lighting- A lighted house will most likely deter intruders from coming into your house. Install security lighting at the entrances, back door, and garage doors. You even have the option of putting in automatic lighting, that way the lights will turn on when someone steps in the general direction. You can also put them on an automatic timer, so they will turn on as soon as it gets dark. Install Superior Locks On The Door And Windows- Always keep the windows and doors locked, even if you know you will be away from your home for ten minutes. Research to see what the strongest locks are. A secure home will scare away burglars. All doors including the basement and back door should be replaced with wood doors. Glass doors can be broken easily and quickly, so if you are not willing to switch to wood then you should think about covering it with security film or Plexiglass. These materials are definitely not easy to break. In case of a medical emergency or if you simply forgot your keys, give a set to someone trustworthy like a family member, friend, or neighbor. 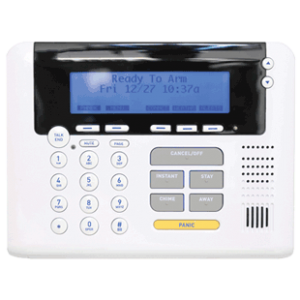 Purchase A Security Alarm System– There is a plethora of security systems out there. You have the option of paying the least amount of money possible, or choosing a security with many additions. With a push of a button, the ambulance can be right at your door to help your senior with their situation. There are many different routes that you choose considering technology has gotten very advanced. You even have the option of using video monitoring device. The footage can be sent to your desktop, DVR, or even personal cell phone. Video footage can also be useful to people who have senior family members. This will allow them to keep an eye on them, while also giving their necessary space to be independent. It definitely gives a certain level of comfort that they are capable of living alone. You can read more about how to find the right home alarm system that is best for you. Install A Viewer Window- It is always comforting to know who is at the door. Make sure that there is a peephole at the front door or even a door entry phone to take to guests. Ask For Help- If you are a senior and want to live independently, it is completely legitimate to ask for help. Ask to have help with your chores such as mowing the lawn or washing the windows. Any chore at the front of the house. Intruders will not try to break into houses with a lot of visitors. There are many home security systems that will keep your independent senior family member safe and sound in their own homes.